I had so many pictures to post that I had to separate the posts! 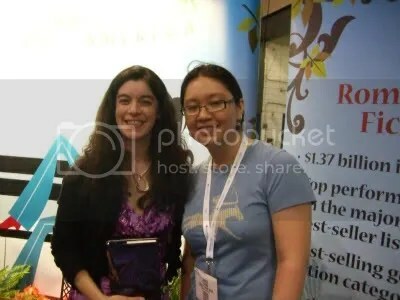 I met so many authors in their signings, but I didn’t really try to ask for pictures until the second day of BEA. 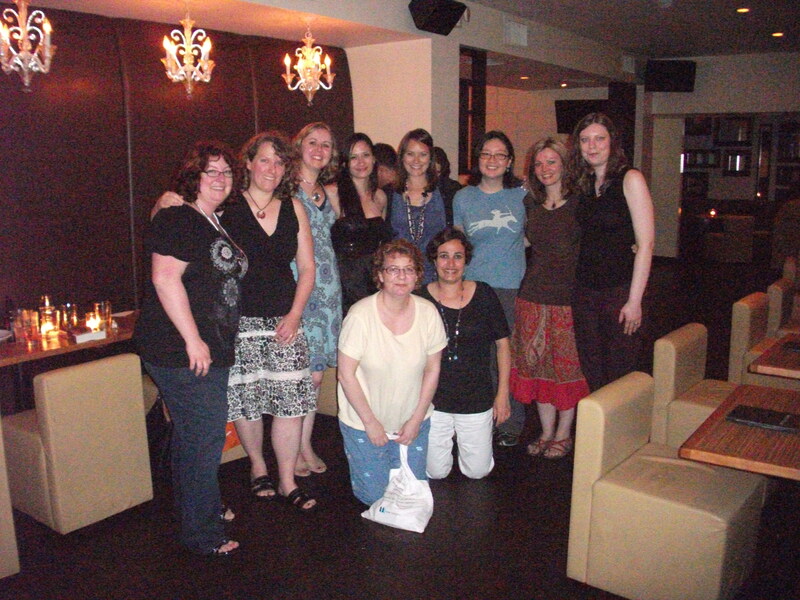 So here’s a few pictures of me and a few authors that were there. I was really looking forward to meeting Deanna Raybourn since I’ve been loving her Lady Julia Grey series. Her signing for The Dead Travel Fast was the only book I had in all caps on my itinerary. I was so worried about the lines for the Harlequin signing Thursday morning, because the signing the day before was mobbed, I left another signing to wait early. 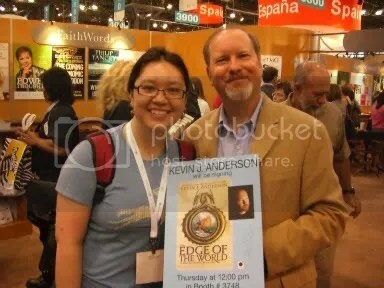 Actually Kevin J. Anderson is an author I haven’t read. I was going to see if I could pick up his book for someone but wow, they were popular and were all gone by the time I got there! The author was still there so I asked for a picture instead. 🙂 I need to try out his series one day. OK, my eyes are partially closed in this picture. Jeri Smith-Ready was the other author on Thursday I really wanted to meet since I’m a fan of her WVMP Radio series. 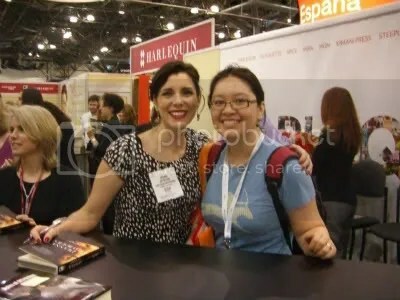 She was signing for her new young adult book, Shade, at the Romance Writers of America booth, and I’ve heard good things in early reviews about it so I wanted to snag a copy and meet her. Another case where I had to make a choice and leave another line so I wouldn’t miss an author! This line was deceptive – it wound behind booths and looked shorter than it was. And Jeri Smith-Ready recognized me! 😀 Shocking. 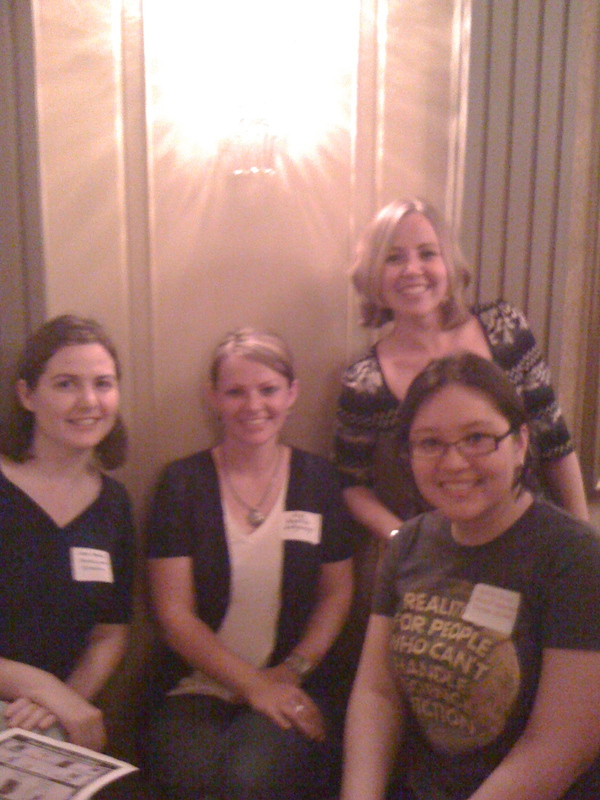 Wednesday night was a dinner with Stacey and Angie, then the A Celebration of Book Bloggers where we sat at a round table at the Algonquin Hotel and talked. The BookSmugglers have a picture of that. 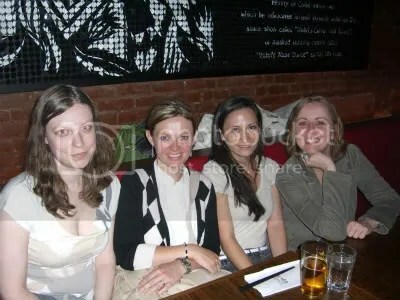 Thursday was another dinner with book bloggers over at The Volstead. *pointing a the Book Smugglers picture again*. That was a lot of fun, and I stayed a little longer this night than the night before. Kristen from the Fantasy Cafe and I spent some time at a B&N before the party, which was nice. We had a weird cab ride where the cab driver was ARGUING with us over where we wanted to go, but he eventually decided the traffic wasn’t as bad as he thought. Friday was ANOTHER dinner. I’ve been DYING to eat at Ippudo for months but my friends keep going without me! *shakes fist at them alllll*. Anyway, Angie and I made plans to finally eat there and Kristen, and Ana and Thea. 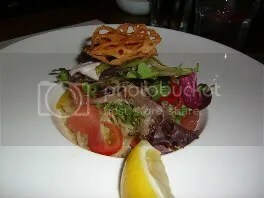 Ah, the food was excellent. 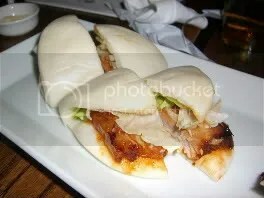 I recommend their pork buns and the Akumaru Modern Ramen which is what I ate. I was so happy to be finally tasting it, but let me tell you – if you ever go, be prepared for a longgg line ( I think we waited an hour and a half). Being exhausted kind of doesn’t help. Either place to comment is fine with me. KJA was really gracious and nice. Oh the food was GOOD. 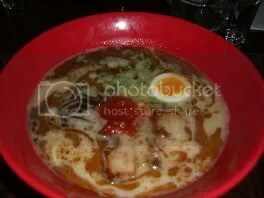 I was recommended those pork buns, the Akamaru Modern Ramen and the Shiromaru Ramen. I’m going to have to find some other good places to eat for next year. Keep a list somewhere. The bad thing is that in NYC, if a place is good, there’s a LINE. It really was. I highly recommend going to BEA at least once. I hear after next year they may move it away from NYC though, so not sure I’ll be going after that.